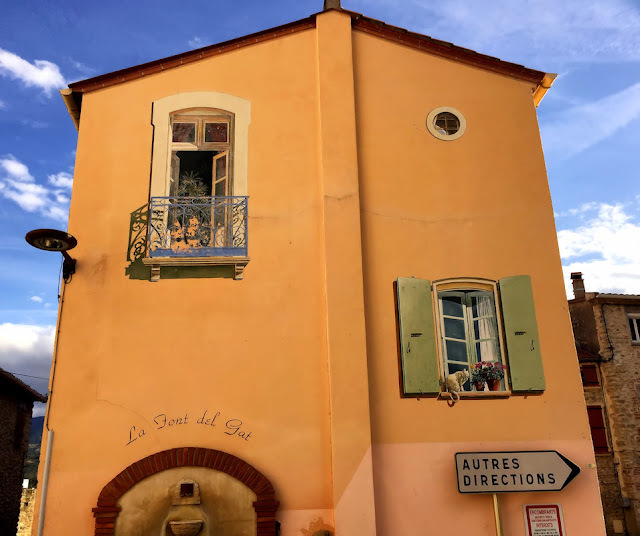 Should you ever be in Boulou in the South of France - do not miss the chance of seeing the fake facade of this house. You will find it just around the corner from the police station, close to the tourist office. Regard the 2 large windows and the small one. They are all fake inclusive the painted shadow effect.